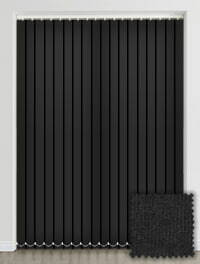 If you are looking to combine light and privacy control with striking good looks then our stunning made to measure black vertical blinds are just for you. Dark and mysterious yet with a timeless quality, they are the perfect contrast to a white themed room and work extremely well in a contemporary furnished living room, kitchen or dining room. They are both a stylish and practical choice for any room of the home. I am full of praise for this company as I ordered the wrong size for our kitchen roller blind. I emailed English Blinds to correct my order and received a prompt reply and had a new blind delivered two days later. Brilliant service. Have recently purchased two items from this company (roller blinds for bathroom). 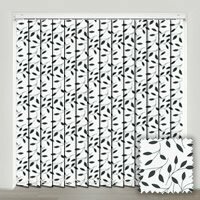 Both items represent good value for money having previously sampled similar items from other providers and where English Blinds definitely have the edge. The purchase process was easy. Overall, a very good purchase and will use this company again in the future.